Provide comfort for the family of Irene Veale with a meaningful gesture of sympathy. The family of Irene Rosamay Veale (nee Forbes), sadly announce her gentle passing Friday afternoon at Arch, February 8, 2019, in her 91st year. Irene was predeceased by; her husband, John Leverne Veale of 49 years, her sister and brother-in-law, Carmel and Walter G. Daynes, her nieces, Phyllis and Lana, her nephew Walter C. Daynes and his wife, Michellin. Irene is survived by; her two sons Larry A. Suriano (Susan) and John C. Veale, her grandchildren Shari Miller (Paul), Patrick Suriano (Erin), Adam and Brianne Veale, her great-grandchildren, Sophie and Faye Miller, Dominic, Grace and Olivia Suriano, her niece-in-law, Carol Daynes, great nephew and great-niece, Christopher and Nicole Daynes and her first husband, Guido Suriano. Irene was a most inspiring, joyful and positive wife and mother, always encouraging and proud of her family. She will be lovingly remembered by her family and friends for her fun personality, her quick wit and her many hand-craft talents. Irene was a beautiful person, inside and out. She will be greatly missed. There will be a private funeral service, and a private family service in Nestletown where she will be encrypted beside her husband. In lieu of flowers donations to Arch would be greatly appreciated. 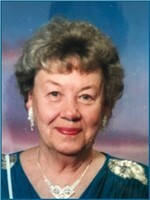 To send flowers in memory of Irene Rosamay Veale (Forbes), please visit our Heartfelt Sympathies Store.